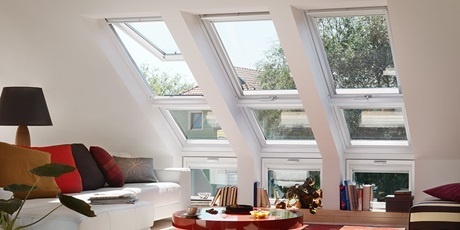 Damp and dark homes across the UK are having a direct impact on the levels of serious health conditions being reported, according to a new report by leading roof window manufacturer VELUX®. This VELUX Healthy Homes Barometer highlights a clear correlation between poor housing stock and ill-health in all countries across Europe. UK residents living in dark homes are revealed to be 27 per cent more likely to report poor health conditions including asthma and chronic obstructive pulmonary disease. In addition, people living in unhealthy buildings in the UK with damp are 34 per cent more likely to be suffering from health conditions. Across Europe, one in six households are currently living in an “unhealthy” (meaning damp or mouldy) building, increasing their chances of illness by 66%. Developed in collaboration with Ecofys, a Navigant company, Fraunhofer IBP, and Copenhagen Economics, the VELUX Healthy Homes Barometer examines the effects of housing on the health of people living in countries across Europe, along with the associated costs to society and ways to tackle the problem. On the back of the findings, VELUX is calling for buildings to become more energy efficient and for the UK’s housing stock to be brought up to par. Europeans living in an “unhealthy” building are more than 1.5 times (66%) more likely to report poor health, and 40% more likely to suffer from asthma, as those who do not. Meanwhile, Europeans who suffer energy poverty - meaning they are unable to keep their homes comfortably warm in winter - are twice as likely to report poor health and nearly three times more likely to report damp in the home. One solution is to modernise Europe’s existing buildings through energy efficient and healthy renovations. This would not only lead to improved health outcomes, lower societal costs, and reduced CO2 emissions, but would also provide a much-needed catalyst to European economies. The Healthy Homes Barometer 2017 goes on to examine the level of private capital available for renovation in EU member states – EUR 30 trillion – and what would be required to help unlock some of that total to invest in renovation. For the first time, using data from the European Commission’s vast Eurostat Database, the analysis provides new evidence on the relationship between housing and health. Daylight, our most vital resource has been illuminating our planet for over 4 billion years...so why don't we use it more? 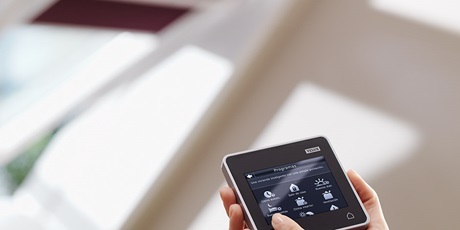 This innovative system of remote controlled windows, blinds and shutters lets you open and close with just one touch of the control pad. 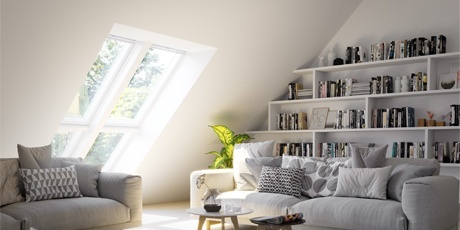 Whatever project you're planning right now, VELUX roof windows can bring more daylight, more fresh air and more life to your space.